Last night I found myself in the middle of a chaotic exchange between my teenage daughter, my elderly mother, and myself. My husband was gone, and both of them were unhappy with me for reasons that made no sense to me. 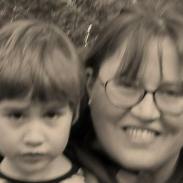 (I chalked my daughter’s tantrum up to teenage hormones, my mother’s up to dementia. Mine, simply to the resentment of being squeezed into an impossible situation.) When will it end? I kept asking myself. When will the nonsense end? It was tempting to hold a ginormous pity party for myself. Or simply to put my foot firmly down, and insist that it was “my way or the highway.” But what would that have done? It would have led to a stubborn standoff, each of us retreating to our separate spaces feeling resentful, bullied, and misunderstood. Instead I took a deep breath. “I think we need to lighten things up a bit — how about a game of Scrabble?” I pulled out the board I’d inherited from my maternal grandmother, a Scrabble shark if ever there was one. Mom’s eyes lit up … dementia or no, she can always give me a run for my money. And Sarah likes nothing more than to see her mother beaten, fair and square. I drew my seven tiles, then made my play: d-a-r-n-e-d. Six letters, not bad. Double points. I heard an intake of breath, then with slightly shaking hands my mom built on my final “d”: F-I-N-I-S-H-E-D. Using all her tiles, she put her score light-years ahead of mine. She caught my eye, the triumphant gleam unmistakable. “You’re FINISHED!” she crowed. Not quite, Mom. But someday. Someday. And so, without further ado … Pour yourself a cup of tea and meander with me to 2015. Next weekend we celebrate a decade of “official” family life. Ten years since the adoptions were finalized and the kids were officially welcomed into the family . . . and baptized into God’s. We plan to go to Cedar Point with their godparents, to celebrate. This weekend, though, as Sarah and I sit in the living room — her painting designs on her fingernails and watching Girl Meets World, and me typing, my mind drifts back to those first few weeks together. Some parts are such a blur, but others come back with crystal clarity. And so, before those bits get fuzzy, too, I thought I’d write a little letter to my new-mom self. I know it seems impossible right now, when every hour drags as you try to cope with enormous mounds of laundry and unending chaos. Poop on the walls. Food splattered on the ceiling. Kids screaming you awake at one-hour intervals. A husband who spends L-O-N-G hours at work and leaves you alone from dawn to dusk with these ornery little dickenses. I know. I know. But trust me, it won’t always be like this. Be as gentle with yourself and your family as you possibly can. You have undertaken the most difficult challenge of your adult life, infinitely harder than you thought it would be. But trust me when I tell you this: You can make it easier, or you can make it MUCH harder, just by what you choose to see. This is not the time for your “volunteer” gene to go into overdrive at church, or to take on a forty-hour work week. Because you will never get this time back. And neither will your kids. Don’t worry about your job right now, and get some help if you possibly can so you can catch up on your sleep. This is a marathon, not a sprint. Every moment you spend with them now will pay rich dividends down the line. But now it’s time to pay up. Breathe. Laugh. Relax. These kids won’t get calmer, or sleepier, or happier if you are a stressed-out mess. So do everyone a favor. Don’t set the bar too high. Get some help — since you don’t have family nearby, au pairs are worth their weight in gold. Keeping them at home, close to you, is going to help the trauma heal. Read about trauma. And stop yelling, or you’ll make it worse. Protect them, and never let them out of your direct line of vision, even with other kids. Yes, you need a break, and yes those breaks are few and far between. But trauma attracts trauma, and the worst kinds of abuse breeds sneakiness. Keep your kids close, as close as you possibly can as much as you possibly can, if you want those broken little hearts to heal. When you want their attention, whisper. And don’t forget to teach them “feelings” words. Or to get down on their level, and touch them gently when you want to make eye contact. Resign your dreams and expectations. They may always struggle academically, no matter how many story hours and silly songs you share with them. No matter how many specialists and therapists they see. They may never make the honor roll, but if they keep talking to you, you’re ahead of the game. Spend more time focusing on their gifts, and less on their challenges. Expect it to hurt . . . but look for the joy. The kids won’t remember if you stood over them while they struggled through their homework. 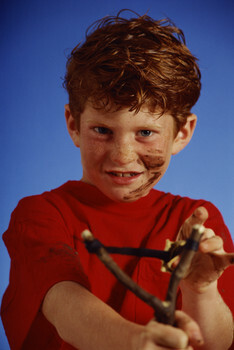 But they’ll never forget it when you put down the rake, and jump in the leaf pile with them! Let them eat the raw cookie dough and sprinkles, and don’t ration the M&Ms so much. Adoption is hard work. Don’t forget to enjoy the perks! Today over at Extraordinary Moms Network I posted a little ditty that almost perfectly sums up where I am as a parent today. Go ahead and have a look … I’ll wait. She’s fifteen now. Fifteen going on thirty. And I swear to you, there are days when we look at each other and wonder, How on earth am I supposed to live with THIS for three more years? At least. Best case scenario. If you ask her, she drew the short straw in the Mother Lottery. Her model yells (or yells back). Drinks (a glass of wine at LEAST twice a week, usually while daughter is giving me the stink eye). Is woefully unfashionable. Cramps her fashion style (“No, you may NOT wear black eye shadow”) and sense of propriety (“Yes, you must wash the pen design off your hands before Mass”). Worst of all: HER mom makes her do chores (like a SLAVE, like emptying the dishwasher and setting the table EVERY DAY and cleaning her room). I’ll admit, I do get crabby sometimes myself. The only time I wake up without the sound of a howler monkey in my ears is when I’m on a business trip. Each morning I fall over the dog, who is cringing under my feet the moment she enters the room. There is not a lipstick, cookie, or bottle of nail polish I can buy that has a snowball’s chance in hell of winding up anywhere but in her room. She speaks, and the room turns blue. She sees her brother, and drama ensues (a fight or teary-eyed accusations of neglect, depending on the day). Her first mother tells me she was just like this at Sarah’s age, which she says to be comforting but actually terrifies me. But here’s the thing … I love her. Her color. Her exuberance. Her insatiable need for love that induces her to cuddle up to me as close as possible on the couch at night, and plead for her father to tuck her in at night. I try to imagine what it must be like for her, to BE her. I see how she struggles. And I wish I could swish a wand and make it all better. But that’s not what I signed up for. That’s not what love is about. Almost fifteen years ago, we signed up for this. God knows if we’d known the wild ride in store for us, we might have run screaming for the hills. But we didn’t. So we didn’t. Do I love her as much as I’d have loved “my own child”? I don’t know. There’s really no way to know. But this much I can tell you: She has taught me, the hard way, what it means to really love someone. Because true love most often comes not in the shape of a heart … but of a cross. It means not loving because, but loving even when. Today a FB friend asked me if I had any advice about how to recover from a disrupted adoption. It got me thinking about the year we had one of our foster kids rehomed for the safety of the younger two (and, I’ll admit it, for my own sanity as well.) Here are the three tips I shared with her, out of my own experience. Would you add anything? In reality, we had tried for over a year to help our foster child. There came a point, the details of which do not matter, that it became clear to everyone including the social worker that this child needed to be in a home without other children. Thankfully, she blossomed in her new home — though she has harbored anger towards us. Trauma breeds trauma, and unresolved trauma comes out in all kinds of awful ways. And yet, a decade later we know we made the right choice for everyone involved. 2. Adoption is forever. While foster care is by definition a temporary arrangement (reunion is always the ideal, and about 40-50% of foster children do return to their birth parents), adoption is for life, and if your child leaves you cannot simply wash your hands of him or her, or blot that child from your family’s collective memory. Continue to pray for that child and to make sure (to the extent possible, depending on your situation) that he or she is remembered and taken care of — birthday cards, notes, and perhaps even visits if a safety plan is in place. Not only is it the right thing to do, this will prevent your weakening the bonds you have with the other children in your home (who may otherwise question the security of your attachment to THEM). The time may come (it certainly came for us) when the child who left will express anger or resentment toward you for your decision, especially if you kept one or more of his or her siblings. Stay strong, and try to be as gentle and kind as you can. Feelings are not facts, and unresolved trauma breeds more trauma. Acknowledge the pain, but do not take it upon yourself. 3. Acknowledge the loss. To yourself. To the children who remain in your home. To your extended family and friends who support you in your grief. Like a divorce, the consequences of the break are real and need to be processed over time. And like a divorce, the fact that there is pain does not automatically mean that the break was not needed. Hope to see you at Cedar Point! The Drop Box: A Movie for Lent! Korea has always had a special place in my heart. For about a year in my twenties I studied the language and cultivated a taste for kim chi, having been invited to work at a blind mission in Seoul. In the end, I did not go — I was unable to get the needed visa to work as a short-term missionary. But I had heard about the sad fate that awaited even young children who are disabled. Many are abandoned by their families, who cannot or will not care for them. Many are turned out or abandoned on the streets. It is this sad fact that makes this remarkable documentary doubly inspiring. 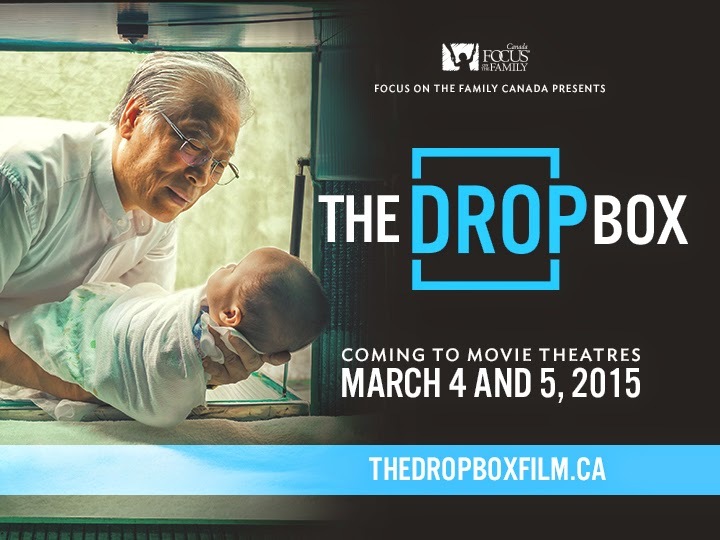 The Drop Box, a limited engagement documentary about Korean pastor Lee Jong-rak, tells the story of a man who has dedicated his life to saving children, many of them with special needs, who were abandoned by their parents who were unwilling or unable to care for them. He created a special “box” outside his church, where desperate women could leave their infants rather than expose them to die on the streets. Over time, Pastor Lee adopted a dozen such children, and found homes for hundreds more. And each one has touched his heart. You would think a movie like this would be depressing. Thousands of children without parents, many of them destined to live out their short lives separated from their families, never able to know where they came from or to whom they belonged. Go and see this movie. Click here for viewing locations and times. 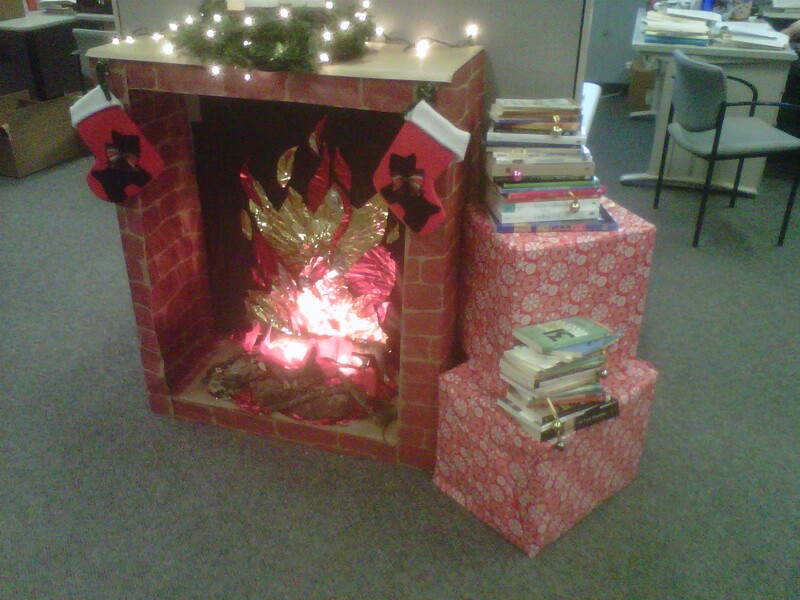 Yesterday I arrived at Ave Maria to find my coworkers had transformed the office into a real “winter wonderland.” Up to and including the fireplace, fashioned from glittery paper and Christmas lights hidden behind a Yule log. Clever, huh? Made the sixteen-hour journey in the snow the previous day via train, two airplanes, and car . . . worth it. “Journeying” is a popular metaphor in the publishing world. A good book is supposed to be transformative, leaving you better off simply for having invested yourself in it. In the coming year, I’d like to invite you to journey with me on that parenting road trip. Sometimes that road trip will be literal (on Fridays I’ll be blogging about memorable places I’ve been to over the years, and invite you to join in the fun). Other times it will be more literary. (Wednesdays here will be my “Book Whisperer” column, where I point you to books and other resources that I’ve found helpful both in writing and in raising two special-needs kids, and invite you to share yours as well.) On Mondays, though, I hope to post about the journey of parenting. Feel free to play along! Finally, I recently redid my “About” page (thanks to Michael Hyatt’s timely advice in Platform: Get Noticed in a Noisy World). If you’d like to guest post, to share your favorite book or not-to-be-missed road trip experience, please let me know!